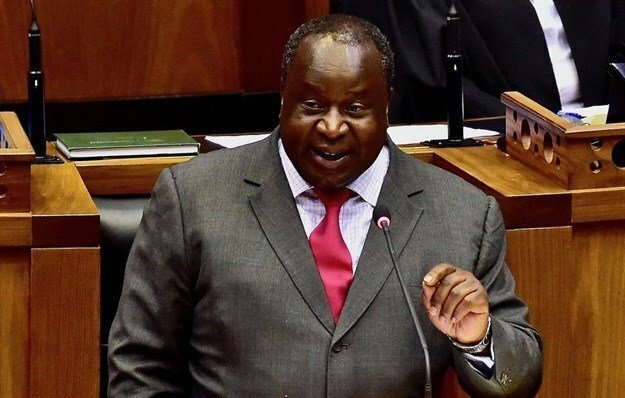 With the National Budget Speech looming on 20 February 2019, the general consensus appears to be that Finance Minister Tito Mboweni is on a tightrope of sorts. He needs to deliver a Budget, pre-election, that will source maximum revenue to alleviate a major shortfall and also restore confidence, hopefully while containing costs and irregular expenditure. On the other hand, he is faced with consumers who are already baulking at higher taxes including VAT and facing inexorably rising costs of electricity, water, rates and fuel levies, among other indirect taxes. As the housing market takes its lead from general business, investor and consumer confidence, coupled with the current state of the economy, what we are hoping for is a Budget that will achieve a boost in sentiment and economic growth, while allaying global concerns regarding South Africa’s economic future. We are hoping to see follow-through on commitments regarding infrastructural improvements, education, job creation and the agricultural sector and an increase in housing subsidies for lower income households. As far as education is concerned, it is logical that an educated population will generate greater wealth and stimulate the economy. However, apart from those broader issues, there are a number of actions which would immediately benefit the housing market – which in itself makes a meaningful contribution to government coffers, mainly in terms of transfer duty. We are also hoping to see no increase in the tax burden on households, as this would go some way to boosting consumer and business confidence. As it’s evident that the sectors of the housing market which are affordable for younger, including first-time buyers are the ones which are still buoyant, anything from the Budget that will boost sentiment, household incomes or affordability will provide a significant fillip for the market. According to ooba, first-time buyers still account for about half of all their mortgages extended, with financial institutions retaining their appetite for this sector of the market – with the average concession over prime (for all buyers) declining to only 0.1%, a level last seen in April 2011. In addition, approval ratings continue to improve, while the average deposit as a percentage of purchase price has continued to decline, with both these reaching levels last seen prior to the 2008 recession (Ooba stats as at December 2018). With such an appetite from buyers and amid a positive lending environment, it follows that stimulating this market will pay significant dividends all round. Other measures which would be welcome in the Budget include SME tax incentives to encourage growth in the entrepreneurial space, which would free up more funds across the board to stimulate economic growth, in turn stimulating the property market. We’d also like to see budget policies and incentives that promote eco-friendly building incentives. At present, the cost of changing an existing home to be more eco-friendly is high, so that people cannot afford to invest the capital needed in order to make the retro-fit changes. Furthermore, all municipalities should be encouraging off-the-grid options, whereas at present, they tend to discourage these because they are potentially losing revenue. Another valid point worth consideration is the endorsement of budget incentives to enable quick and cost-effective building solutions to stimulate the lower end of the market. For example, more flexible financing options - a case in point being that at present, the banks are reluctant to finance prefabricated homes. If there is a general policy that promotes fast, eco-friendly building solutions, this should filter down and have a knock-on effect on the banks, enabling them to find creative solutions to financing these projects. Finally, we’d like to see a review of rates assessments for developments. For instance, in KwaZulu-Natal vacant land is levied at five times higher than normal residential dwellings, with the result that buyers who purchase vacant land in new developments are paying exorbitant fees. Instead, there should be development dispensations to encourage growing the rates base.